Free live young health Is Paint Odor Dangerous For Pregnant Women? 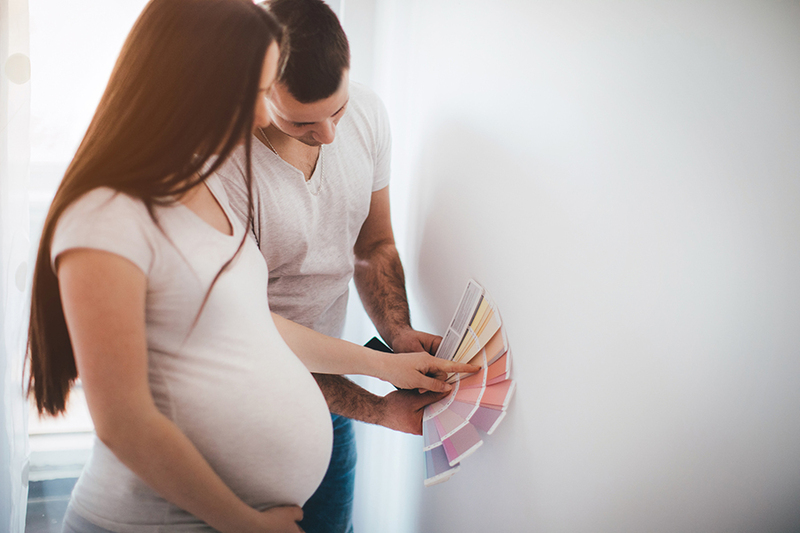 Is Paint Odor Dangerous For Pregnant Women? Painting or decorating your own baby room to be born is fun. However, be careful Mother, often inhale the smell of paint can be harmful to the health of Mother and baby in the womb. Most paints contain chemicals that may pose a risk to health problems, including harm to the baby in the womb. Actually not the smell or the smell of paint that is feared to interfere with health, but the chemical content in it. Some of these chemicals evaporate and create a distinctive paint odor. In the paint, contained petroleum-based chemicals or petroleum, the solvent. This material can cause health problems if inhaled too much. A number of studies have found that pregnant women who inhale too many solvents are at increased risk of miscarriage, giving birth to babies with congenital abnormalities or with impaired learning ability later on. This disorder is more common in boys than in females. In addition, in the first trimester of pregnancy when the baby's organs begin to form in the womb, too much inhaling the smell of paint can increase the risk of interference in the nervous system and infant kidney system. The level of paint toxicity generally depends on the chemicals used, and how much the amount of exposure. For that, Mother is advised to minimize exposure to paint, in order to avoid the possibility of the occurrence of unwanted risks. Here are some ways to minimize the risk of paint odor for pregnant women. The mother should not eat or drink in a room that is being painted. Open the window out of the room so Mother does not breathe in too much paint. Make sure the room where Mother is on the move has good ventilation. Choose latex paint with the label "without VOC ( volatile organic compounds )", ie volatile organic compounds. Mother can also choose water-based paint or acrylic, rather than oil paint. It is also suggested to limit exposure to latex paints containing ethylene glycol ethers and biocides. As much as possible avoid the use of oil-based paints, lead, and mercury. Also, avoid spray paint. Although not yet determined how much exposure that can cause health problems, but its good Mother did not do paint activity during pregnancy. In addition, limit also time around the area being painted. Immediately leave a room that may be painted or freshly painted, especially if you feel a headache, nausea, and dizziness from inhaling the smell of paint. If symptoms persist after some time, you should consult a doctor for proper treatment. Title : Is Paint Odor Dangerous For Pregnant Women?